Balancing innovation with the rising costs of therapies and value-based payment models is top of mind this week at the largest annual gathering of oncologists. 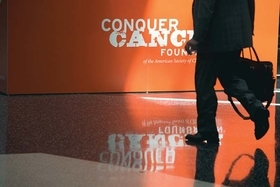 More than 30,000 oncologists and cancer researchers are expected to attend the American Society of Clinical Oncology conference June 3-7 in Chicago. Drugmakers, which more than doubled the average monthly price of cancer drugs from $4,500 in 2003 to more than $10,000 in 2013, will present their latest wares. Among them this year are AstraZeneca's DNA damage-response drugs—designed to kill cancer cells while minimizing the impact on normal cells—and Bristol-Myers Squibb Co.'s drug Opdivo, which won expedited federal approval for the treatment of metastatic melanoma and advanced lung cancer and is now being used to target colorectal cancer. Merck will present the three-year survival results of an immunotherapy that treats advanced melanoma. Researchers, meanwhile, plan to present an analysis of more than 13,000 patients that shows the success of personalized treatment strategies in phase I clinical trials. In a symposium, panelists will discuss how genetic profiles and biomarkers can improve success rates. Value, cost and quality will all be discussed in multiple sessions, as will payment in the era of the Medicare Access and CHIP Reauthorization Act, which is the subject of a town hall meeting.